Talking to Mayblossom Wilkinson. When I told her about GoonTong instead of GooHokChyun, she said that that sounds right. So I am going to go with GoonTong as our Chock and Chang home village. In Mandarin, it is GuanTang. 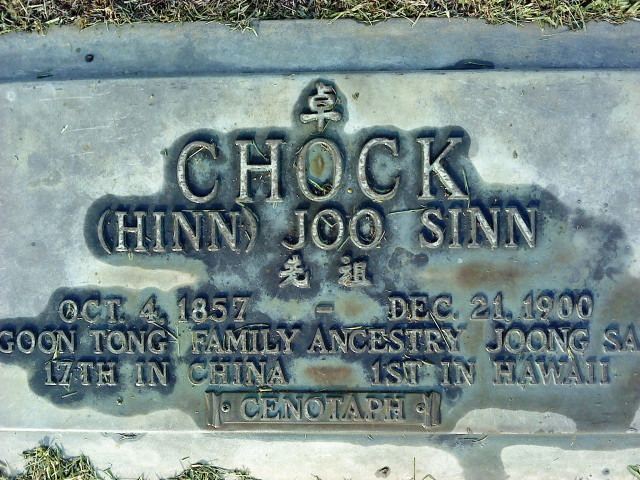 I also talked to her about the time that Popo and Uncle Jack went back to China. This was because GungGung didn’t feel that he could go back to China because he was unsure whether or not he could get back to Hawaii. He felt he was an illegal (this is why he said that he was from Kauai). Anyway, his parents had fallen ill or passed away and Popo/Uncle Jack went back to visit the Chang and Chock shrine at the ‘village’. So I’m assuming that this village is GoonTong (in Cantonese). I believe it is GuanTang in Mandarin. Again, the problem is that I’ve seen two chinese characters describing ‘Guan’ but look to be the same town. The other thing is that I’ve seen two sources describing that they belong to two different districts and two different towns. 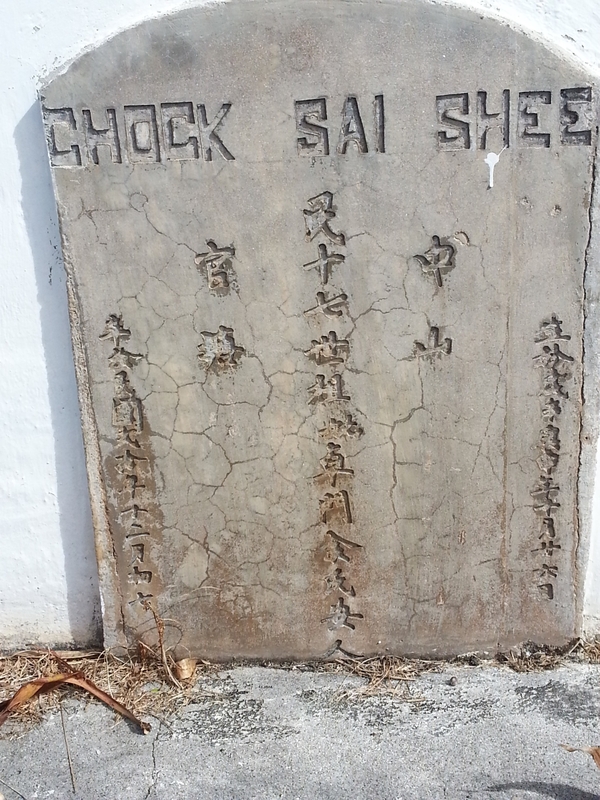 Chock Sai Shee’s Manoa Tombstone indicates Goon Tong 官 塘 Joong San (ChungShan and Zhongshan). In mandarin, it is GuanTang. On google maps, I found Guantangcun but the chinese characters are 关塘. The following 3 links, however, describe this town from two different ‘districts and towns. One labels it Guantang community of Tanjiawan Town of Xiangzhou DIstrict of Zhuhai Municipality (city) of Guangdon Province. Another labels it Guantang Village 关塘 (with the other characters) of Nanlang Town of Zhongshan City of Zhongshan Municipality of Guangdong Province. The problem is that they GPS the location to the same area. Here are some links on the history of Chang’s. One of them by Lai talks about the Chang’s of SamXiang which may be the Chang clan that Sue’s Grandmother came from. Problem is that it is the same Chang Character. This talks about the different areas, linguistically, that the overseas Chinese came from from China by districts, villages etc. This has a whole bunch of articles historically relating to Hawaii Chinese. this has some info on the Chang clan of ‘third Village’ (samxiang or samheung) as well as other villages. You should look at Mr. Lai’s digital archives to read other articles etc on Chinese. Lot of good reads.